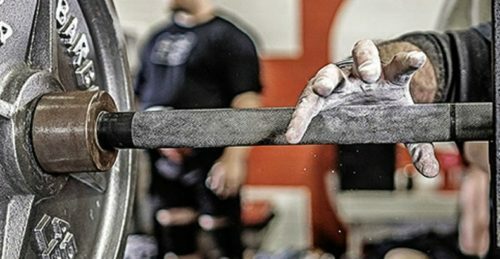 Anyone involved in strength training should be able to identify their weaknesses and continuously work on improving form, technique and performance. In order to do that – you need to know where you are and where you want to be. And the best way to assess your abilities is by making sure you can do everything on the following checklist. After you go through it, mark your weakest points and focus on getting stronger and better! One of the signs of reaching the intermediate level in strength training is the when you become able to master your own bodyweight on the barbell. This should be one of the points of focus for all lifters from the very beginning – the bodyweight bench press will help you strengthen those chest and arm muscles and make all other pushing movements easier. Not only that, but you’ll get a boost in power for everyday things, like moving the furniture and lifting your kids in the air! If you want to move forward in your training, master bodyweight on the barbell, first and foremost. As impossible as it sometimes seems, a double bodyweight deadlift is reachable by anyone who’s determined to put the time and consistency required to master this great feat of strength. Naturally, a double bodyweight deadlift is not something most people can achieve without rigorously training for it. And it definitely is a very worthy goal for any healthy adult, who will learn a great deal in the course of their journey with this exercise. Improving technical skill at this lift will greatly improve your overall strength. This kind of finding ways to use your strength is also the secret to greater flexibility once you understand that your body insists on demonstrating strength in any position before it will let you relax in that position and eventually go further. To master this deadlift, work on your position and tension control and learn how to wedge yourself between the bar and the ground. Don’t let the bar stay too far in front of you and try using your lats to make sure you’re dragging the bar up your shins. Do more pull-us to strengthen your grip, kettlebell swings to help with hip and glute strength and heavy high-rep squats to work on your tension. Fairly simple: hang from a bar for 30 seconds, then do a pull-up. If you can do it, take it to the next level: without letting go, drop back down and hang for another thirty seconds and do a second pull-up. Still too easy? Go for 10 of these 30-second hang pull-ups! Aside from grip strength, this test might highlight some shoulder and spinal issues. Pull-ups are kind of like free throws – they take practice and practice and practice, but you have to make sure you are practicing the right way. If you’re struggling with this exercise, start with the basic dead hang, which is a great introduction to calisthenics bar training. Start out with 10-30 seconds at a time, then build to longer hangs, using different grips on the bar to active different sets of muscles. Progress into an active hang – hanging with your arms completely straight but engage your lats and shoulder blades to pack the shoulders into their sockets. Let’s make it clear: if you’ve been training for a while and can’t hold a plank for 120 seconds, you’re either too fat, too weak or doing something wrong. In general, a fit, healthy adult should be able to do a two-minute plank without a problem. The endurance of your core muscles is much more important than their strength when it comes to providing stability for the lower back, which is one of their key functions. Don’t forget that athletic performance depends on being able to generate power through your arms and legs, and that power is only possible if your torso and hips provide a solid, stable platform. Training you core doesn’t just strengthen your core muscles, it also helps to increase strength in your back and glutes and finally, it helps to ensure that other areas of the body will work more harmoniously, promoting better posture and preventing back pain. If you experience any neck or lower back pain while doing the exercise, that could indicate a weakness in the upper or lower regions of the spine. 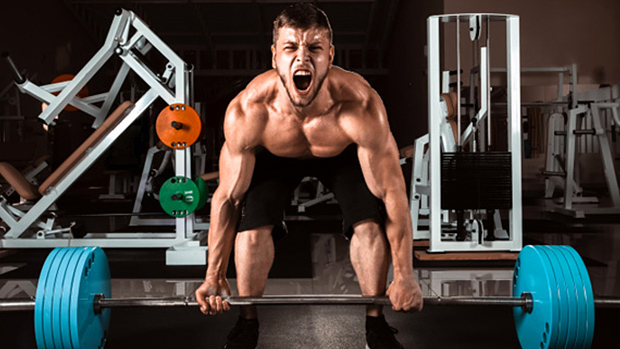 In addition, if you still have problems with this exercise after being at it for a while, it’s quite possible that you don’t understand tension – learning to crank up the tension is a secret in strength training! Many lifters simply can’t ratchet up the whole body tension that’s needed for maximal lifting, and that shows in their results. To work on this issue, pick up a heavy kettlebell or dumbbell in one hand and walk with it. The load is going to teach your body tension while moving. Simply go as far as you can with one arm and return with the other. In time, you’ll notice a big difference in your grip strength and obliques power. This is a weird but really practical test: just sit on the floor from a standing position without any assistance of your hands, knees or shins, and then get up without putting weight on any other part of your body other than your feet. This is a longevity test devised by a team of Brazilian researches and recently written up in the European Journal of Preventive Cardiology, and it’s proven to be predictive of how long you live. It calls for flexibility, balance, motor coordination and most importantly, ample muscle power relative to body weight. If you can’t do it, your health and longevity may be at risk, so start working out more regularly and include a variety of different exercises in your routine, especially regarding the glutes and hips. Here are four simple exercises that mimic the movements required in the sit-down-stand-up test: squats, glute activation lunges, push-ups and contralateral limb raises. Perform these regularly and you’ll notice a major boost in flexibility, muscle strength and coordination. Stand on one foot for 10 seconds. Repeat 10-15 times, then try the other leg. Repeat 10-15 times again. Failing this assessment might be a sign of a serious problem, such as ankle, hip or back issues. By keeping the feet strong, a person can alleviate soreness and improve overall health and flexibility. Regularly exercising the legs, feet and ankles can help to ensure that the muscles in these areas are providing the best support, as well as increase the range of motion in the feet. Also, improving your balance will help improve overall sports performance and prevent falls that may cause serious injury. Do you tend to use two, or maybe three pillows while sleeping? Then you obviously need mobility and flexibility work! Experts say that having to prop your head so far forward is a sign you could be dealing with excessive curvature of the spine that’s causing a hunching of the back. The best sleeping position is one that keeps your head, neck and spine in a neutral position. Bad sleep posture can be the culprit behind a slew of health issues, from back and neck pain to fatigue and headaches. You can help keep your neck in proper alignment by choosing the right type of pillow – choosing a pillow that is too high or too low will bend your neck away from the neutral spine alignment, which can lead to neck soreness, stiffness and even inflammation. Long jumping is all about explosive power – the more power you can generate through your legs, the higher and farther you’ll be able to jump. Explosive power is a combination of speed, muscular endurance and muscular strength, all of which can be developed through targeted exercises such as running sprints, weightlifting and plyometrics. This is a really basic test, as every healthy and relatively athletic individual should be able to do a standing long jump for as far as they are tall. If you can’t do it, just start practicing it until you get better. Throw in some heavy squats in your routine, over a six-to-eight week period. Also, stick to compound exercises that use more than one muscle group, as these exercises will be more effective for long jump training. This series of tests will give you a full-body safety check. If you struggle with any of them, think about your long-term health and fitness and work on improving your form and strength. It will be well worth it!